AMPHS English classes provide students with the language skills they need to survive and connect community members to each other through a common goal. They also provide access to holistic health and wellness services, further empowering community members to understand and assert their rights. 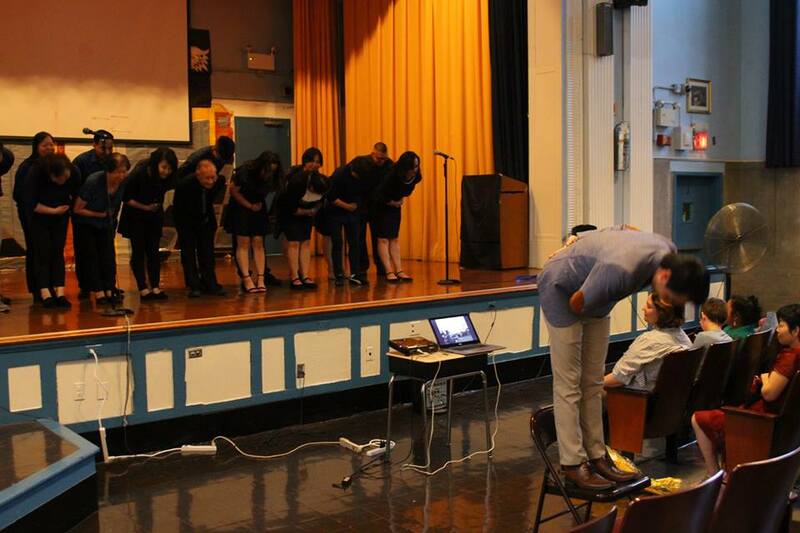 On June 25th, AMPHS and the Arab American Association of New York, held a celebration of the diverse cultures that make up Brooklyn. 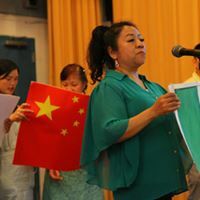 Featuring the traditional food, garb, song, and performances from our very own ESOL students, we spoke to importance of diversity, understanding, and community solidarity. It was a beautiful unification of the different ethnic groups and generations among hundreds of students and their family members, to show that it is possible to erase differences and barriers to develop one voice, one community. 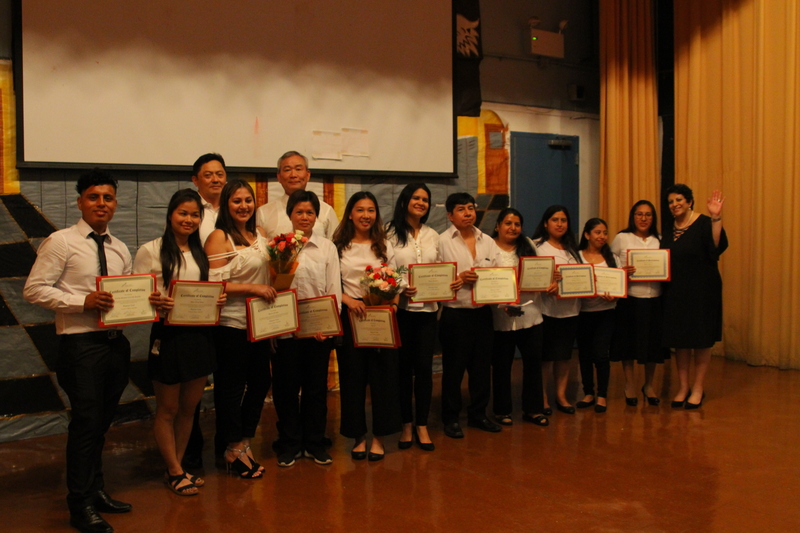 AMPHS Graduates its Inaugural Adult Literacy Class! 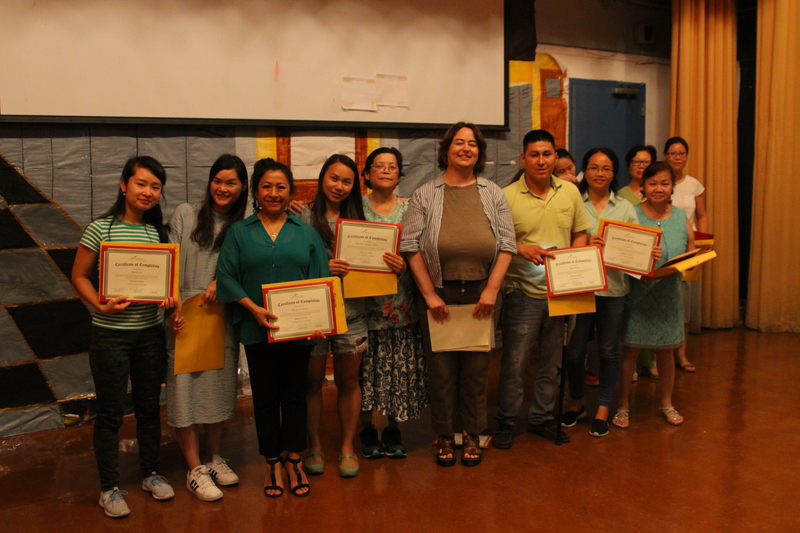 In March, with funding from NYC Department of Community and Youth Development, AMPHS began offering six English classes for over 150 immigrant community members from Beginner to Advanced levels. 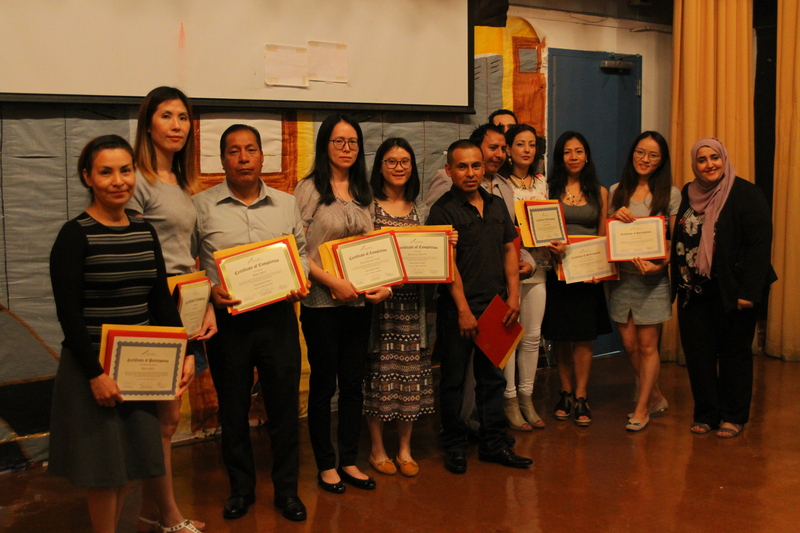 Our adult literacy program furthers our mission to serve and empower NYC’s immigrant community, complementing our health and wellness programs by providing our students with the English skills for self-advocacy in both healthcare settings and in their everyday lives. We also offer babysitting services for parents who otherwise would not be able to take the classes. 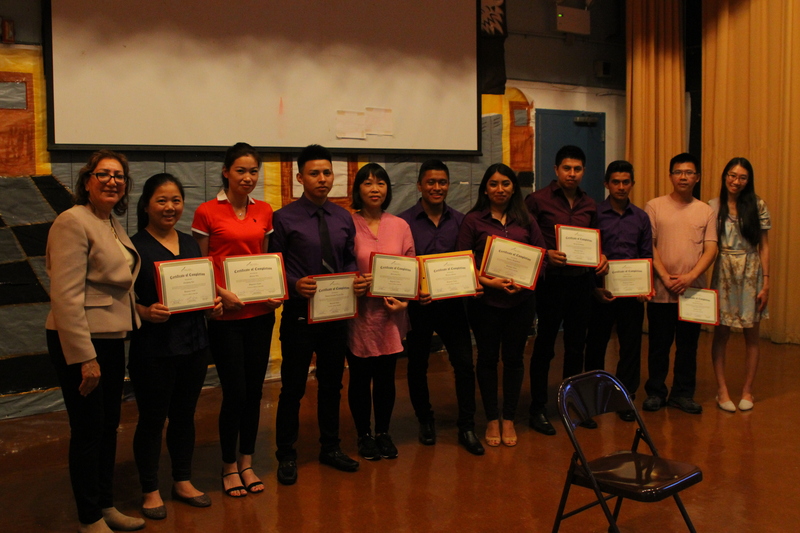 Students improved upon their written and verbal communication skills, and connected with other English language learners in the community. They also took part in field trips around NYC (visiting the Brooklyn Public Library, Statue of Liberty, Museum of the City of New York, and even local restaurants! 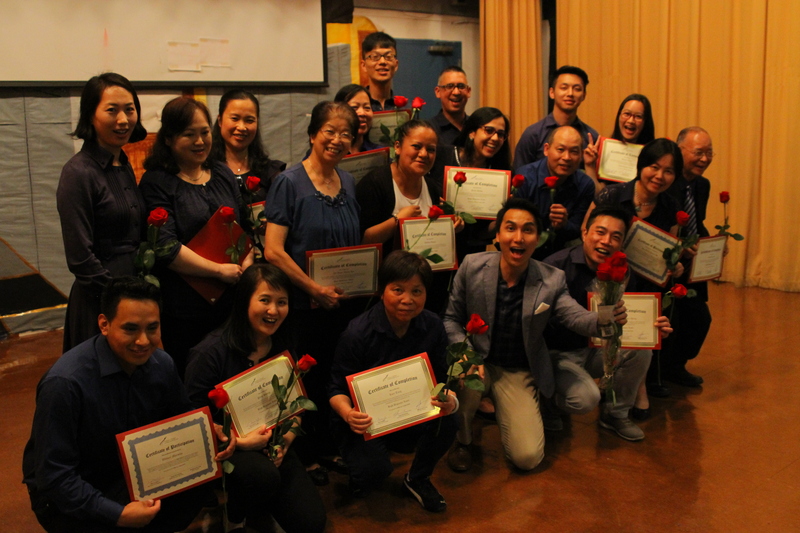 ), participated in our first Culture Day, and celebrated all their hard work and progress at the end of June at the AMPHS Graduation Ceremony. Students further engaged in conversation groups to practice their English with peers and work readiness workshops to help students advance in their career search beyond the classes. Take a look here for a list of graduating students! 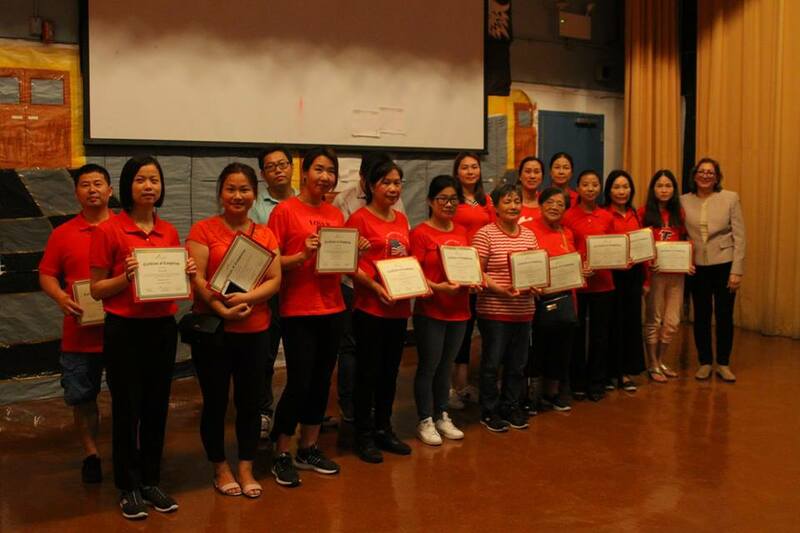 The success of the classes would not have been possible without the hard work of our Spring 2018 Adult Literacy team: a big thanks to Somia El-Rowmeim, Adult Education Specialist and Adviser, and ESOL Instructors Jarod Yong, Bonnie Blaha, Weam Al-Rubaye, Patrizia Barroero and Ekhlas Sedhom. Registration for our Fall Cycle is now open. To register, please call our offices at (212) 256-9036 to make an appointment for registration and testing! Registration ends August 31st, 2018.